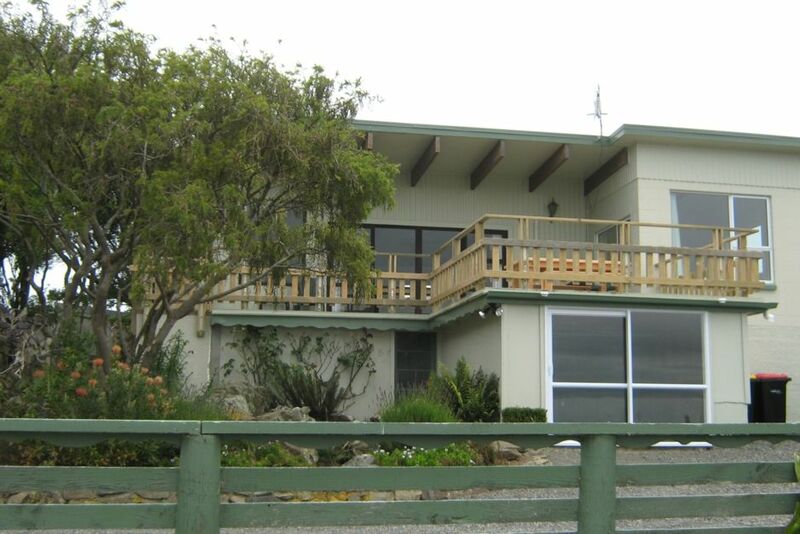 Our beach house is only 40 minute drive from Invercargill or Winton. Located in a quiet cul-de-sac with sea and rural outlooks and a fully fenced section with extra space for off street parking of vehicles and boats. Even a fish cleaning bench ready for you to fillet your catch. Relax on the large deck and take in the sea views while the children play safely below in the enclosed section or games room, or cook up a treat on the onsite bbq. At night kick back and watch telly or play some of the games provided around the large dining table. Or take a stroll down to the Beach House Cafe for a coffee, drink or meal. Riverton hosts a supermarket, petrol stations, Art Gallery, Te Hikoi Museum, playground, skate park, swimming pool, golf course, hotels and award winning cafes. The Southern Scenic Route passes through Riverton and a short drive takes you to Colac Bay, Cosy Nook, Monkey Island, Greenstone Beach, Clifden Suspension Bridge. The rates shown are on the condition that you leave the property in the condition that you find it. That is all facilities cleaned, dishes washed and rubbish put in wheelie bins. If you are not prepared to do this please advise and a cleaning fee of $50.00 will be added to the cost of the rental. Easy drive to Colac Bay, Cosy Nook, Monkey Island, Greenstone Beach, Clifden Suspension Bridge. Comfortable and clean and clear instructions on what was expected. Such a wonderful bach, very comfortable with everything we needed. Its the second time we've been and it didn't disappoint. Was very clean and tidy. Will definitely be back. The property has a lovely large dinning and lounge beautiful views and very clean. Just a stroll to the beach and a great cafe. Spacious bach within walking distance to some smaller beaches at Riverton Rocks. Spacious bach within walking distance to some smaller beaches at Riverton Rocks. Great views across the harbour and surrounding countryside. Very quiet and peaceful location at end of a cul-de-sac. Everything was well provided for and the kitchen was very well equipped. Great heating with a large panel heater and a split system air-conditioning unit. Beautiful view and a great place to stay. Beautiful view and a great place to stay. The Beachhouse Cafe is a great place to eat just down the road. We loved our stay and would love to have stayed longer. Easy to find. Homely and comfortable.